Revita, the most efficient hair growth stimulating shampoo available in the market is the final result of DS Laboratories efforts on cutting edge research. 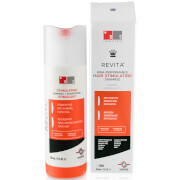 Revita is a powerful and unique combination of active ingredients specially designed to maintain scalp vitality and act on follicle dysfunctions in order to achieve the best results in short periods of time. To improve the efficacy of this synergic combination, DS Laboratories developed a unique chemical free extraction process that keeps original properties and clinical efficacy of final components. Through gentle mechanical compression, Revita compounds are obtained as pure and chemically preserved active molecules. 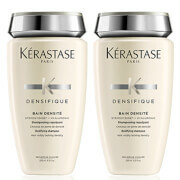 After applying Revita with a gentle massage, you should leave it on the scalp from 5 to 10 minutes before rinsing. Revita should be used on a daily basis. Malic Acid renews and moisturizes. Caffeine stimulates. Aloe soothes and calms. 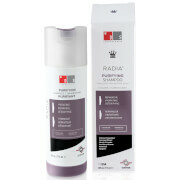 Great Revita Shampoo. Highly recommend. Having scoured the market for a dedicated product that claims to actually increase hair growth instead of the usual 'adds shine' 'adds texture' lines we're given, I couldn't believe my luck when I saw the tag line for this. I have been using it just two weeks and it works! It really does work. I have a short crop and any previous normal growth has never been commented on, but people are noticing now and so am I. I will continue to use this 'miracle' product and recommend it to others.